Chablis fans will find a lot to like in both the 2011 and 2010 vintages. The 2011s are generally soft, open wines with lovely fruit, accessible personalities and little of the austerity often associated with young Chablis. The vintage is inconsistent, so choosing carefully will be the key, but the best wines are tasty and will be ready to drink upon release. The 2010s are much stronger across the board, but the finest wines are going to need to come together. It is an exceptional vintage that combines both richness and acidity to a degree Chablis has rarely, if ever, seen before. 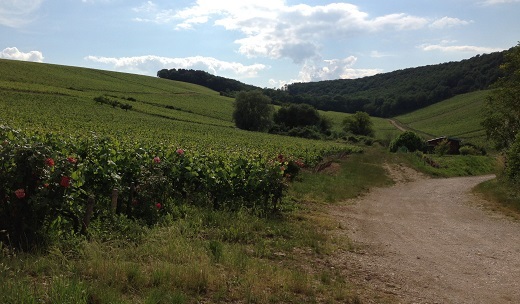 After a vintage in which yields were painfully low, most Chablis producers were thrilled to see a return to more average levels of production. The spring and summer were very, very hot, which caused the growing season to take off as much as one month in advance. I was in Chablis last June, and growers were quite worried. They had never seen such a precocious vintage. Rain arrived later in the summer, which slowed down the maturation of the grapes. Heavy rains arrived in August and caused the fruit to bloat in a few spots, something that was especially problematic as the plants were already carrying generous yields. Harvest dates were all over the place in 2011, reflecting both the various states vineyards were in throughout late August and September and differing philosophies in vineyard management. Most growers reported very fast alcoholic and malolactic fermentations. The 2011s are hugely inconsistent across the board. I tasted a handful of gorgeous wines that in some cases even outperform their 2010 counterparts, all the way to green, vegetal wines that will never be balanced or particularly appealing. In some spots, it is clear yields were too high. In short, 2011 Chablis has a bit of everything. Right now, 2011 appears to be a vintage best suited to near-term drinking. The best wines are undoubtedly pleasant, even though they lack the tension most Chablis fans look for in a truly great year. The 2010s have pretty much turned out just as I had hoped, which is to say they are fabulous. The wines combine textural richness and weight with high acidity, something that is exceedingly rare, as most vintages tend to favor one over the other. The Achilles heel for the vintage is the excess concentration and weight that is found in a few wines, likely the result of waiting too late to harvest. This isn’t a huge problem across many domaines, but it is something to look out for, and in my opinion, avoid when possible. Readers can start to gauge the quality of the vintage by picking up the entry-level wines, many of which are fabulous. If there is a vintage in which to drink copious amounts of straight village-level Chablis and even Petit Chablis, 2010 is it. The 2010 harvest in Chablis is marked by several weather events. Perhaps the most dramatic of these was the highly irregular weather during flowering. Unseasonably cool and wet weather, particularly in June, caused high levels of millerandage (shot berries) and coulure (shatter), both of which lowered potential yields significantly. The weather improved in June, and temperatures mounted quickly in July. Normal temperatures returned in August and September, along with higher than normal rainfall, but average hours of sunshine in September were in line with historical averages. Most growers harvested towards the end of the month. Because of the irregular flowering, yields were down significantly, anywhere from 10-50%, depending on the vineyard and parcel. In the glass, the 2010s are big, rich, powerful wines, mostly because of the low yields. At the same time, the late harvest allowed the fruit to maintain lively acidity that for most domaines is at or near the top of historical averages. Several growers told me they had never seen a vintage with both such high sugars and acidities. The result is a vintage that manages to walk a very fine line, as the wines don’t have the textural leanness and austerity Chablis can have, especially when young, yet the wines are vibrant, vivid and full of life. Many of the best 2010s are immensely pleasing today, yet appear to have the stuffing to age well. In short, while all vintages have their disappointments, overall 2010 is an exceptional vintage for Chablis. It is virtually impossible to go wrong with a bottle of Chablis from a top grower or domaine in 2010. As I did last year, I kept drinking windows very much on the conservative side, with starting dates but no end dates. Given all of the issues surrounding premature oxidation, this seems like the only reasonable thing to do, even though I am fully aware that many of the best wines in this article will take many years to peak. Or will they? That is the essential question that confronts all of us every time we choose to buy white Burgundy. In my experience, the wines of Chablis have been much less affected by premature oxidation than the wines of the Côte d’Or. Still, a measure of prudence seems warranted. As a rule of thumb, the 2011s will drink well upon release. The 2010s, on the other hand, will take anywhere from 1-10 years to blossom. Exactly how long is anyone’s guess.